Two new teams crack the Top 10 in Class AAAAAAA for the first time this year, one familiar face and one burgeoning dark horse that has earned its time in the spotlight. No. 7 Newton crushed No. 10 Lambert 88-63 at the North Georgia Showcase, dropping the Longhorns two spots. It was a 30-point deficit midway through the fourth quarter. Armani Harris thoroughly dominated inside, the 6-foot-7 senior hanging 39 points and 11 rebounds, going 20-of-23 from the foul line. Tre Clark added 19 points, 10 rebounds and 5 assists while Tyrease Brown netted 17 points as the trio combined for 75 of the Rams’ 88 points. No longer flying under the radar, No. 8 East Coweta is off to their best start in over a decade at 8-0. Playing in the brutal Region 2 with the likes of No. 3 Wheeler, No. 6 Pebblebrook and Westlake (3-3), not to mention 2018 quarterfinalist Campbell, the Indians stamped another signature win by knocking Westlake from the poll with an 88-74 victory. Mandez Jones poured in 32 points as East Coweta tamed the Lions for the first time in their last 17 meetings. The Indians have a blend of potent guard play with Jones teaming with Chris Youngblood and Brandon Stroud, who scored 20 and 15 points respectively along with the move-in of 6-foot-5 forward Zac Hill, who added 15 points in the Westlake win. Friday was no fluke, as the Indians also hold wins over Class 5A No. 3 Fayette County (86-73) and four-time Alabama state champion Carver (68-60). Their next test will come against No. 6 Pebblebrook, who took down Class 6A No. 6 South Cobb 67-59. Making room for Newton and East Coweta in the poll is Westlake and Peachtree Ridge (4-2), the Lions rallying to beat Duluth in overtime 59-54, but falling to Shiloh in double overtime 79-67. Sinking four spots but remaining in the Top 10 is No. 9 Grayson. The Rams were upset by 4-1 Mill Creek in the nightcap of the North Georgia Showcase, 70-58. After trailing 29-19 at the half, the Hawks outscored Grayson 51-29 over the final 16 minutes getting 32 points from the bench led by Sebastian Augustave and Nathan Ward’s 12 points apiece. Class AAAAAA is a mess right now. Heritage-Conyers (2-2), Mundy’s Mill (4-1) and Dacula (0-5) all depart from the poll. The Patriots lost to rival Rockdale County 51-44, the Tigers looked rusty in a 62-59 loss at Mt. Zion-Jonesboro and the Falcons, the Preseason No. 2 ranked team in back-to-back seasons, has flopped again, this time losing to Duluth 78-57 and in overtime 73-69 to Mountain View to seal their fate. No. 7 Tucker has not played well either, barely escaping 0-6 Forest Park 56-53 before showing small signs of improvement against ML King 61-47. Simply put, the Tigers have played down to the level of competition in the majority of the games they’ve played this season, but still have upside if Coach James Hartry can get his team on the same page. Three weeks into the season, no one has taken a stranglehold of the classification which should lead to plenty of movement in the polls and a fun next three-plus months. No. 2 Alexander missed 20 free throws but somehow managed to survive at Douglas County 69-67, riding former Tiger Malik Battle to 26 points. Earlier in the week Douglas County defeated No. 8 Langston Hughes 56-42, dropping the two-time defending state champs three spots. No. 4 North Atlanta avoided a scare against Riverwood as Campbell-signee Messiah Thompson proved his All-State mettle, hitting a buzzer beater to win 50-49. With the middle of the ranking’s order nearly obliterated there’s been some major movement. No. 5 Brunswick debuts after beating Tift County 66-56. No. 6 South Cobb is up two spots after beating Osborne 66-55 and pushing Class 7A No. 6 Pebblebrook to the limit before losing 67-59. No. 9 Cambridge is into the rankings with their best wins coming against Jefferson 99-89 and Alpharetta 82-64. Surprise from east Georgia, No. 10 Evans sneaks into the Top 10. The Knights had quite the offseason, losing 6-foot-10 center Dylan Cardwell to Oak Hill Academy and seeing 6-foot-7 Dajuante Williams flirt with Evans before ultimately spurning them at the last moment. If the two were still enrolled, the Knights would have opened in the Top 10. 6-foot-5 Chevez Trask however did enroll and he’s provided a physical presence around the rim while Cameron Cabarrus and Christian Chambers lead the Knights from the perimeter. Evans’ signature wins to date have come against North Augusta (SC) 64-52 and rallying to beat Class A-Public No. 2 Georgia Military 65-60. There was terrible news in Class AAAAA as No. 1 Southwest DeKalb’s Eugene Brown III fractured his tibia against No. 10 Columbia in a 78-47 win. One of the hottest prospects in Georgia, Brown’s season ends with averages of 15.5 points, 6.3 rebounds, 3 assists while hitting 13-of-25 threes. With the Miller Grove transfer situation still lingering, not many teams have dealt with more adversity on and off the court than the Panthers have. Southwest plays No. 4 Lithonia and Miller Grove this week. No. 3 Fayette County edged Jonesboro 54-52 before clipping Class 4A No. 5 Woodward Academy 57-56. No. 6 Hiram is up three spots following a 3-0 week headlined by a 72-55 win over South Paulding, 6-foot-8 center Nathan Presnell recording 26 points and 15 rebounds. Carrollton (1-2) is out of the rankings after losses to Harris County 57-53 and Class 4A No. 2 Sandy Creek 86-61. Defending state champion No. 8 Warner Robins claws its way into the poll after beating Jones County 55-38. After spending the entirety of last season and the first three weeks this season chasing right behind No. 1 Upson-Lee in Class AAAA, No. 3 St. Pius X finally relinquishes its grasp of second-place following an 85-64 loss to Class 3A No. 2 GAC. The Golden Lions rebounded with a 59-58 win at Class 3A No. 7 Pace Academy on a Chase Cormier three with six seconds remaining, but No. 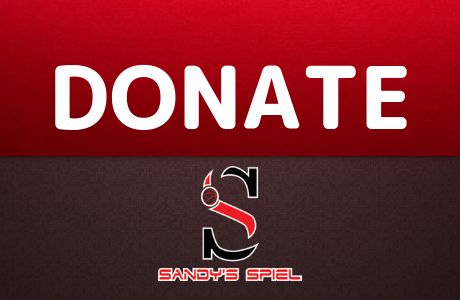 2 Sandy Creek is inching closer to the top following an 86-61 demolition of Carrollton. Drexel-signee TJ Bickerstaff is averaging 18 points and 10.2 rebounds while Julian Alexander is scoring 14.5 points a night. Following a season-opening loss to Class 5A No. 3 Fayette County 74-66, the Patriots have won six straight highlighted by wins over Class 5A No. 4 Lithonia and GAC 70-66. Last week they escaped Fayetteville with a 66-57 overtime win at Starr’s Mill. The Patriots return to action next week against red-hot Class 7A No. 8 East Coweta. Below the top three, a lot has changed. No. 4 Henry County is up after No. 5 Woodward Academy lost a nail-biter at Fayette County 57-56. No. 6 Americus-Sumter shoots up four spots following convincing wins over Dougherty 87-58 and at Lee County 81-52. Baldwin (2-2), Westover (0-3) and LaFayette (5-0) exit the poll. Baldwin scored a 64-43 win at Dublin but lost at Class 2A No. 3 Washington County 69-53. Westover has been a massive disappointment, losing again to Lee County 64-54 and getting beat in Region 1 play by Northside-Columbus 59-55. LaFayette’s tradition of soft scheduling hurts them again, not impressing in a 51-41 win over rival Heritage-Catoosa before taking care of Trion 63-37. The Ramblers will likely resurface in the Top 10 later this season as the rest of the poll beats on each other. In at the bottom of the rankings are three teams that have tried to challenge themselves this year. No. 8 Chapel Hill is off to its best start since 2005-06 when the Panthers won 25 games. Michael Bell has provided instant offense for an up-tempo team that is averaging 85 points per game through their first four. Javante Jackson paces a quick defense that loves to trap. The Panthers have quality wins over Class A-Private No. 9 Mt. Pisgah 85-77 and New Manchester 83-77 in overtime. Chapel Hill is already a win away from matching last season’s win total. No. 9 Shaw could throw a monkey wrench into the Region 1 picture as the junior class of Darnell Moran (13.4 ppg), Dylan Harris (10.9 ppg) and Rod Winfrey (9.7 ppg) lead a balanced offense. The Raiders hold nice wins over Harris County 72-59 and Spencer 66-61, while maybe their most impressive result was a 63-51 loss against Class 7A No. 10 Lambert. Following a down year in which they finished just 7-18, No. 10 Thomson looks like they might be ready to return to the statewide picture. The Bulldogs earned wins over traditional Class 2A power Laney (64-59) and Josey (74-48). Seniors Antrone Murphy (17.5 ppg) and Zander Hamilton (17.3 ppg, 11.5 rpg, 1.8 bpg) are off to hot starts. In Class AAA, No. 2 GAC drilled 14 threes to bury Class 4A No. 3 St. Pius X 85-64. No. 7 Pace Academy is down two spots after losses to Redan 55-50 and St. Pius 59-58. No. 8 Westside-Macon slides two spots after a loss to Class 2A No. 8 Bleckley County 75-74 in overtime. No. 6 Hart County is on the move, climbing three spots after beating Class 7A South Gwinnett 62-61 and outscoring Elbert County 26-11 in the fourth quarter to rally and stun the Blue Devils 55-52. East Hall (3-3) is rosterless on MaxPreps and also out of the rankings after losing a tight one with Duluth at the North Georgia Showcase 51-44. The Vikings are replaced by No. 10 Central-Macon, who opened up the season with a 58-57 win over Class 2A No. 9 Northeast-Macon. Injuries have helped shake up Class AA. 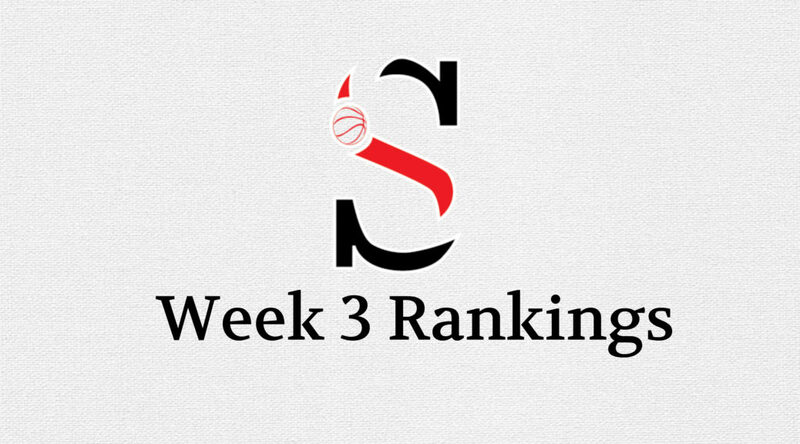 Swainsboro (1-2) exits the Top 10 after losing to newly ranked No. 10 Vidalia 58-42 and at Statesboro 69-58 as the Tigers were without leading scoring Jamil Watkins, Fredrick Seabrough and Jamal Watkins in the losses. The loss of Jamil Watkins is a huge blow, the wing is out 3-4 weeks with a malleolus bone fracture in his ankle. Also out of the poll is Elbert County (1-1) who couldn’t close in a 55-52 loss to Class 3A No. 6 Hart County. Replacing the Blue Devils is upstart No. 8 Bleckley County. First-year Head Coach Garrett Collins has come in from the middle school ranks and has the Royals flourishing at 5-0. Wins over Class 3A No. 8 Westside-Macon (75-74 OT), Class 5A Veterans (65-62) and Class 4A Perry (64-56) all look good. They have a big test on Tuesday as they head to Central Georgia Tech to play No. 9 Northeast-Macon, who beat Class A-Public No. 1 Wilkinson County at the Palace 93-90 before dropping 58-57 to Class 3A No. 10 Central-Macon. No. 6 Glenn Hills rises four spots thanks to a crucial Region 4 victory over Butler 76-69 and a thumping of Harlem 78-50. No. 3 Washington County’s long-awaited season debut went off without a hitch, drilling Johnson County 81-33 before knocking Baldwin from the Class 4A poll with a 69-53 win. It’s likely the biggest week in regular season history for No. 1 Woodville-Tompkins as the Wolverines test their No. 1 ranking at Swainsboro and at No. 10 Vidalia before heading to the SportalShowcase to battle Chattooga. The Wolverines broke the scoreboard in a 100-47 win over Bacon County and are averaging 91.7 points per game. Class A-Private saw No. 1 St. Francis treat host No. 8 Lakeview Academy rudely in a 76-58 victory. No. 3 ELCA stepped up in a major way, outlasting No. 4 Greenforest 84-83 in overtime behind College of Charleston-signee Trevon Reddish’s 23 points and Kamari Smith’s 18. X-Factor Felix Uadiale posted 13 points and a school-record 28 rebounds. The Chargers turned around and beat No. 5 Trinity Christian 62-53 as Uadiale tallied 19 points and 16 rebounds as an encore performance. No. 7 Holy Innocents’ slips a spot following a 69-65 loss to Hillgrove. Darlington (0-1) is out of the poll and replaced by No. 10 Riverside Military who garners their first-ever Sandy’s Spiel Top 10 ranking. The Eagles beat Darlington 61-55. Isaac Teasley is averaging 20.4 points and 6.4 rebounds while Gainesville transfer Shad Dabney is posting 11 points and 4.4 assists per game as sophomore. No. 1 Wilkinson County clings onto the top spot in Class A-Public after losing 93-90 at home to Class 2A No. 9 Northeast-Macon, outscored by the Raiders 33-24 in the fourth quarter. No. 6 Wilcox County took it to No. 8 Lanier County 79-61. No. 7 Calhoun County had two close calls, slipping past Chattahoochee County 75-74 and Early County 61-60.